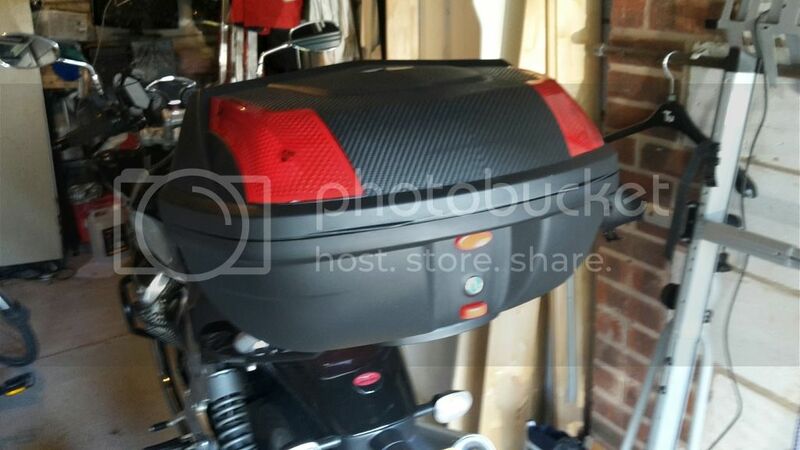 I bought a Ryde 48 litre top box - only £33 including delivery. Fitted straight onto Givi plate. So far so good. Hopefull, here are some photos.